The version of openBVE available via the Ubuntu Software Centre, likely lags behind the latest version available from the official openBVE homepage. So, if you want to use the latest version of openBVE in Ubuntu, you need to download the latest stable release of openBVE from the official openBVE homepage. If you're using Firefox, then the two above archives will likely be downloaded to your /home/<username>/Downloads/ folder. 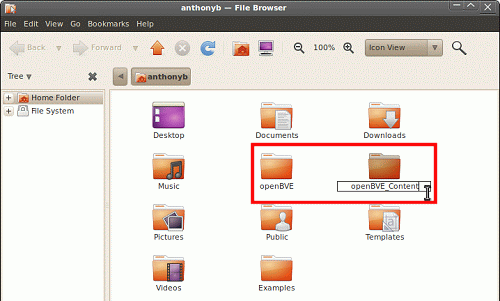 Next, to make life easier, if you haven't already done so, install the Ubuntu version of openBVE via the Ubuntu Software Centre (see page 1). Doing so will also download and install additional dependencies automatically, so setting up the latest manually installed version of openBVE is easier. 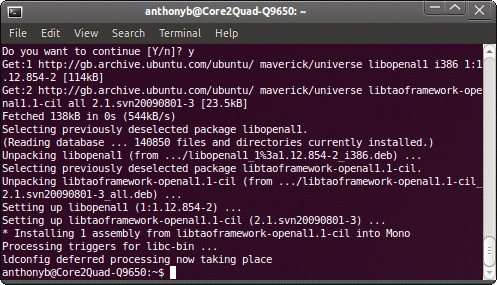 You can also install the dependencies which are installed automatically along with the Ubuntu version of openBVE, yourself, manually, by using apt-get. If you would like to do this, please continue reading. 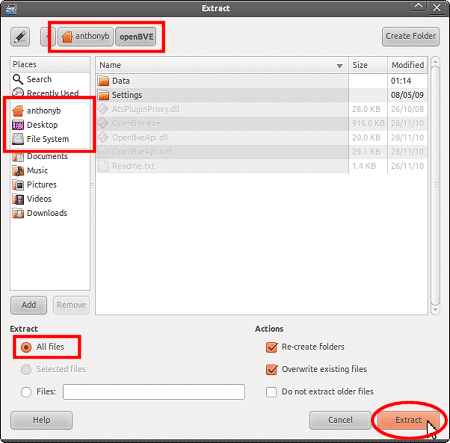 Otherwise, if you want some of the dependencies installing automatically, install the older version of openBVE via Ubuntu's Software Centre, and then, skip to the section below. Once you've downloaded the latest official, stable release of openBVE, and installed some necessary dependencies (either using apt-get, or by installing the Ubuntu version of openBVE via the Ubuntu Software Centre), you need to decide where you want your new openBVE installation, and your openBVE content, to be located. 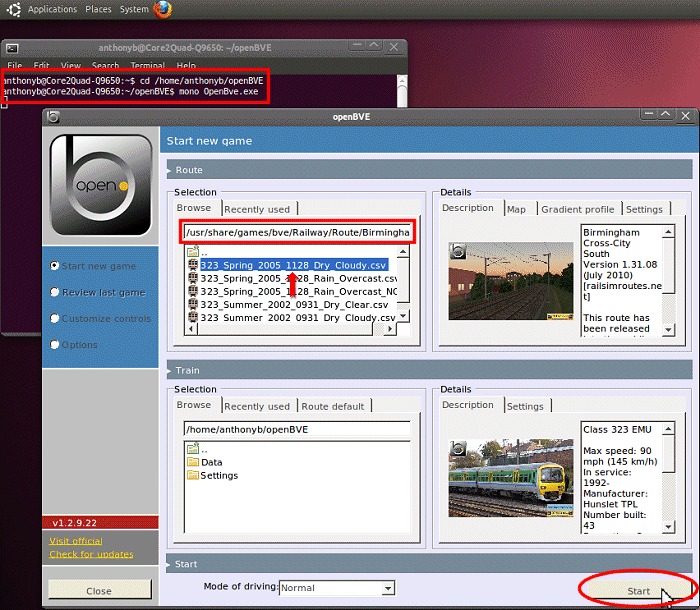 Where your content folder is concerned, for the sake of simplicity, I'd place this in your /home/username/ directory, rather than trying to use the default location prepared when openBVE is installed via the Ubuntu Software Centre (/usr/share/games/bve/), as the latter is owned by root, so the operating system won't let you modify the directories unless you have superuser privileges. You can read this page on the official openBVE website for some additional information. Note: Be sure to remember the location of these new folders! 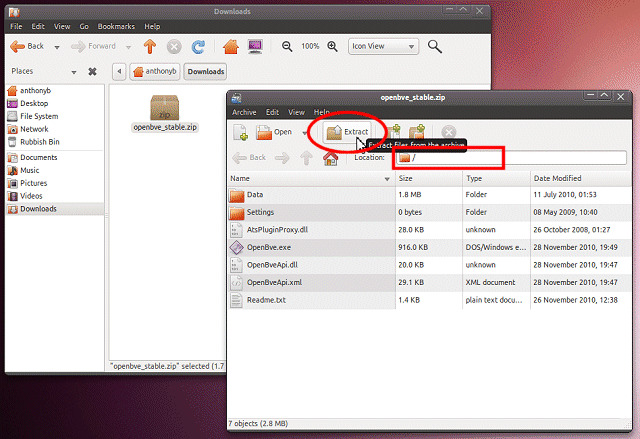 Locate the 'openbve_stable.zip' file which you downloaded a few minutes ago; if you haven't changed any of Firefox's settings yet, it's probably located in your Downloads folder, accessible via 'Places' > 'Downloads'. 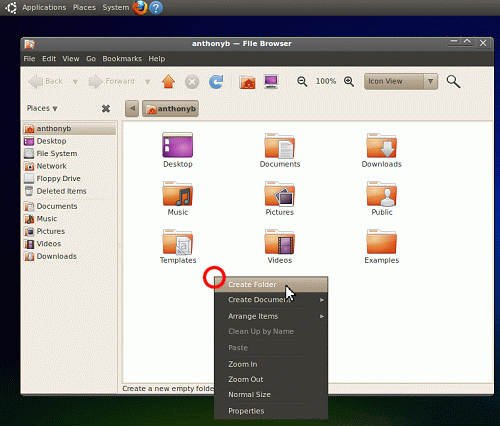 Once the files are extracted, click the 'Close' button when presented with it, to exit the program. 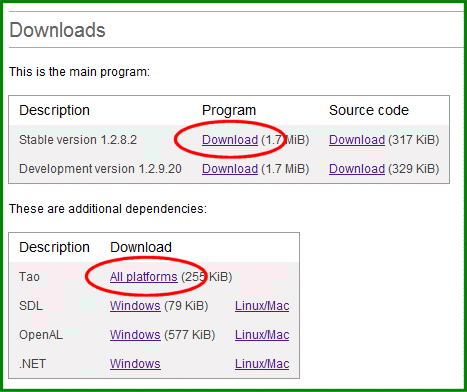 The next step, is to place the dependencies (DLLs) which openBVE needs, into your openBVE folder. The Tao Framework DLLs and configuration files should now be extracted to their correct location! 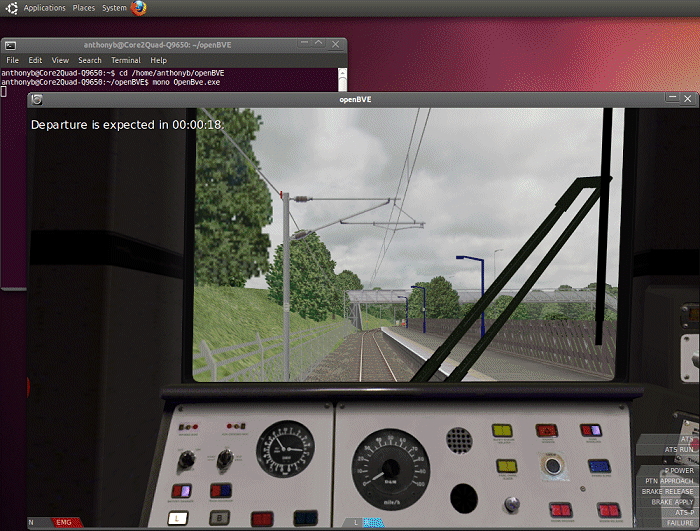 Now, we can test the installation by loading the route and train installed by default with the version of openBVE available via the Ubuntu Software Centre; currently a special copyright-free version of my Birmingham Cross-City South route. If you haven't installed openBVE or the route via this method, then the route can be manually installed following the instructions on the next page. 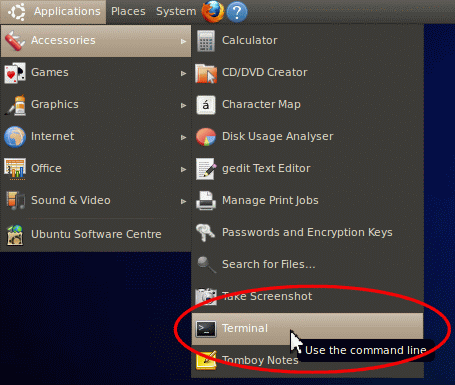 Note: If you haven't installed openBVE via the Ubuntu Software Centre as well, the route can be manually installed by following the instructions on the next page. ...then you will benefit from manually installing the class 323's 3D cab and UkTrainSys cross-platform plugin update. This will give you prototypical safety systems, such as the Automatic Warning System, and Train Protection and Warning System. Please see the next page for manual installation instructions.